Cancer has become a leading cause of death and disability and a serious yet unforeseen challenge to health systems in low-and middle-income countries. A protracted and polarized cancer transition is under way and fuels a concentration of preventable risk, illness, suffering, impoverishment from ill health, and death among poor populations. 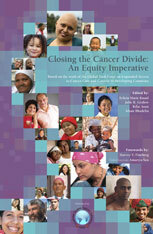 Closing this cancer divide is an equity imperative. The world faces a huge, unperceived cost of failure to take action that requires an immediate and large-scale global response. Closing the Cancer Divide presents strategies for innovation in delivery, pricing, procurement, finance, knowledge-building, and leadership that can be scaled up by applying a diagonal approach to health system strengthening. The chapters provide evidence-based recommendations for developing programs, local and global policy-making, and prioritizing research. The cases and frameworks provide a guide for developing responses to the challenge of cancer and other chronic illnesses. 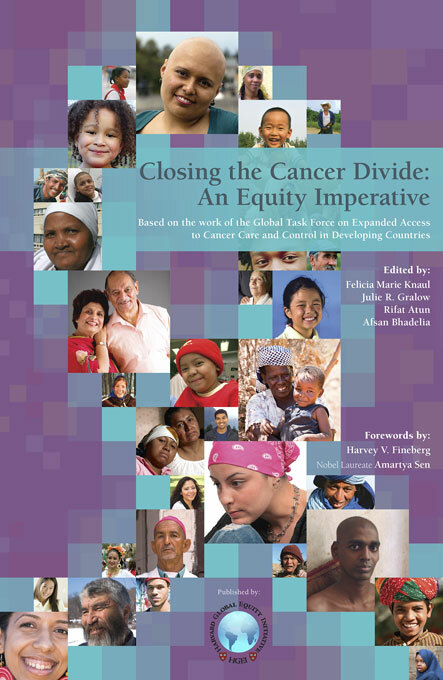 The book summarizes results of the Global Task Force on Expanding Access to Cancer Care and Control in Developing Countries, a collaboration among leaders from the global health and cancer care communities worldwide, originally convened by Harvard University. It includes contributions from civil society, global and national policy-makers, patients and practitioners, and academics representing an array of fields.